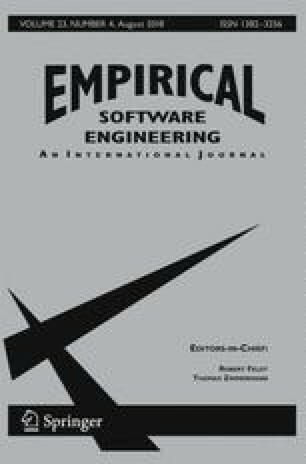 For over two decades, software engineering (SE) researchers have been importing tools and techniques from information retrieval (IR). Initial results have been quite positive. For example, when applied to problems such as feature location or re-establishing traceability links, IR techniques work well on their own, and often even better in combination with more traditional source code analysis techniques such as static and dynamic analysis. However, recently there has been growing awareness among SE researchers that IR tools and techniques are designed to work under different assumptions than those that hold for a software system. Thus it may be beneficial to consider IR-inspired tools and techniques that are specifically designed to work with software. One aim of this work is to provide quantitative empirical evidence in support of this observation. To do so a new technique is introduced that captures the level of difficulty found in an information need, the true, often latent, information that a searcher desires to know. The new technique is used to compare two domains: Natural Language (NL) and SE. Analysis of the data leads to three significant findings. First, the variation in the distribution of difficulty of the SE information needs differs from that of the NL information needs; second, collection age plays a role in the differences between the NL collections; and finally, the retrieval model used has little impact on the results. This work was supported in part by NSF grant 1626262. We are very thankful to the original SCAM reviewers and especially to the EMSE reviewers whose comments were insightful and led to considerable improvements to the paper.